What is a Discipleship Training School (DTS)? On February 20, 2016 Fiji was devastated by Cyclone Winston the 2nd most powerful cyclone in history (a cyclone is what they call a hurricane in the Southern Hemisphere). With sustained winds of 230 KM/hr and gusts of almost 350 KM/hr almost the entire country was effected. 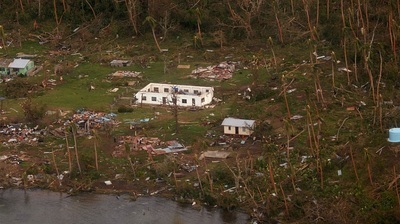 Where the centre of the storm passed entire villages were destroyed and 42 people died. Numerous others were injured by pieces of roofing tin as it flew through the air and trees crashed down onto homes. 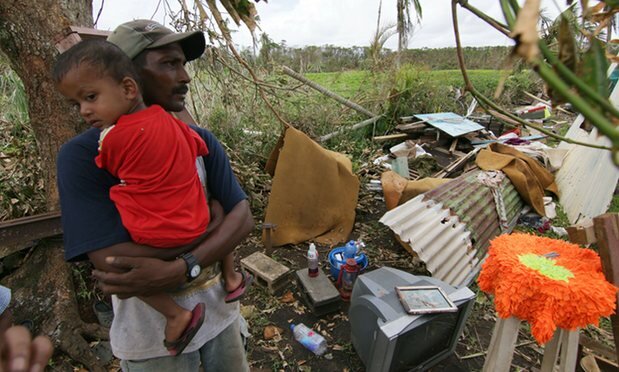 In addition to this all of the fruit bearing trees and most of the crops that are vital for rural families were destroyed. 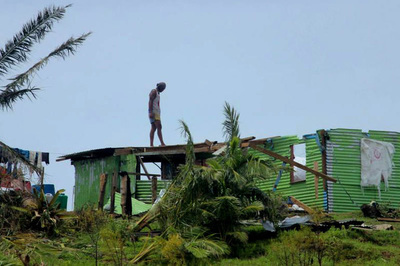 When we first received warnings from the government on Thursday the cyclone was forecast to track right over the capital city of Suva and then follow the Southwest edge of Vanua Levu, the main island of Fiji. This would have been catastrophic since this is a very highly populated part of the country where 2/3 of the people live and is the economic and farming core of the country. 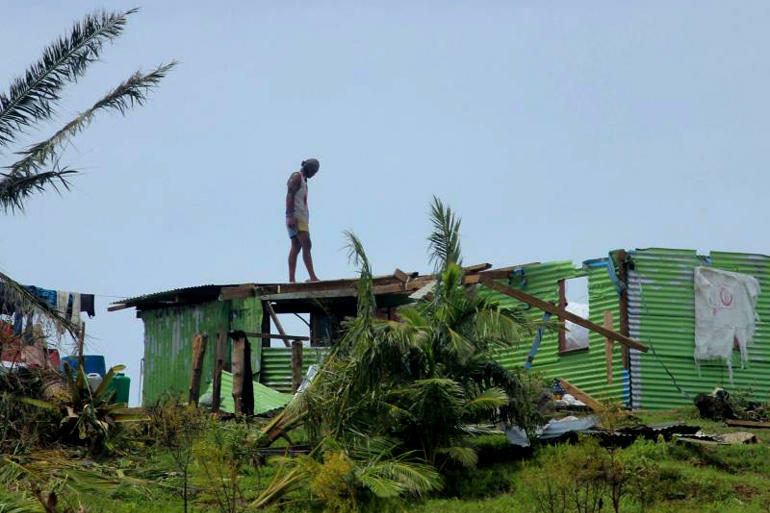 Many people began to pray and when we woke up on Saturday morning the cyclone shifted about 200 KM to the north and passed between the two main islands in Fiji. 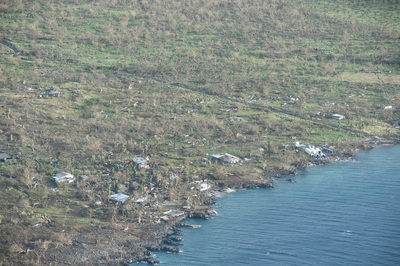 Many communities were still destroyed and lives lost but 1,000's of others would have been lost if the cyclone did not shift position. 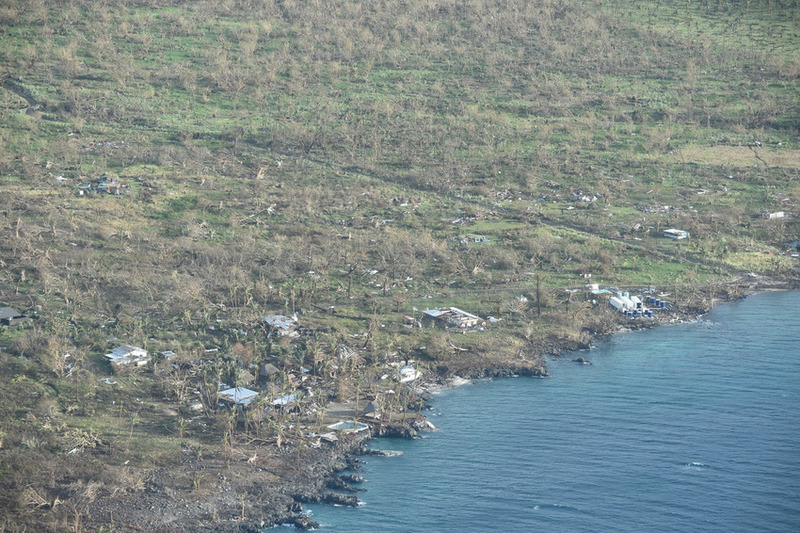 Immediately after the cyclone the Fijian army and emergency services began to bring help to the villages that were hit directly by cyclone Winston. Electricity was knocked out in most of the country and communication was very difficult especially with strict curfews and no newspapers to read. After several days power began to come on in parts of the capital city and we realized the extent of the damage. 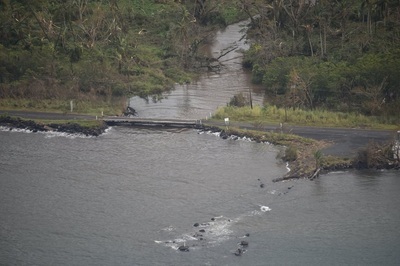 New Zealand and Australia have sent their military to help and the rebuilding of Fiji has begun. Everywhere you look in the capital city there are aid trucks and people driving out to the effected areas to help. 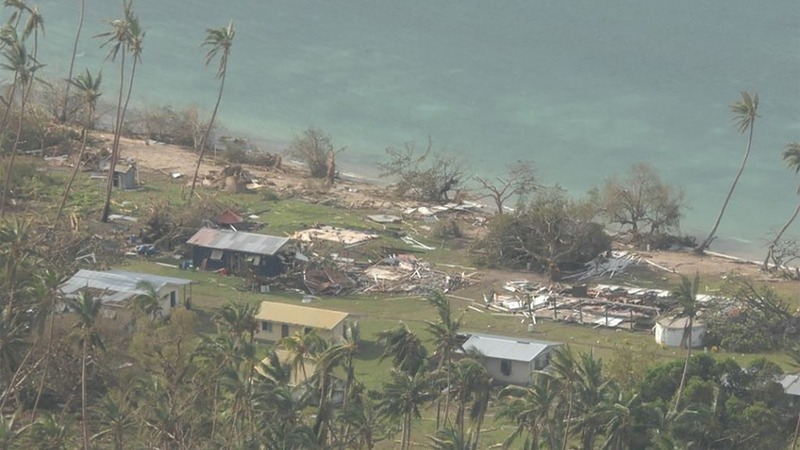 YWAM Fiji has created a Cyclone response team lead by Seria Vinakadina (YWAM Labasa), Losalini Tuwere (YWAM Fiji National office), Byungok Choi (YWAM Youth Centre Suva) and Ledua Seruvatu (YWAM Vunayasi). 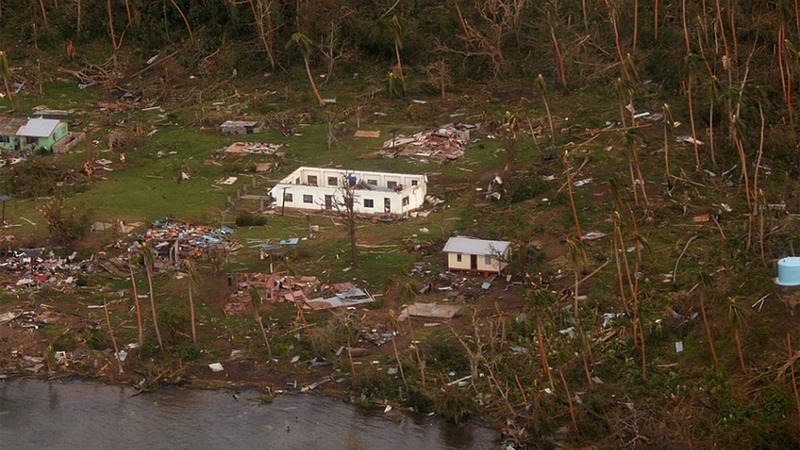 We have had many YWAM operating locations from around the world contact us with offers to help and we are coordinating with them to make sure that help goes to the people that need it most. Marine Reach Fiji, based in Lautoka, is in the middle of a healthcare DTS with several doctors, nurses and healthcare professionals in the school. They will be coordinating the medical work and hosting teams in the next year. YWAM Marine Reach has an excellent relationship with the Ministry of Health in Fiji and will be a huge blessing to the people that desperately need medical and spiritual help. We need teams. 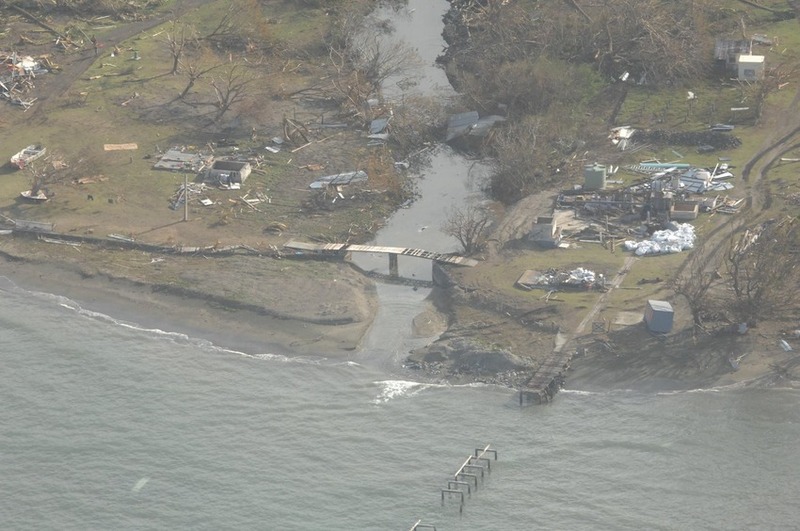 This cyclone has devastated a large part of the country and it will take years to recover. Families, especially children have suffered huge psychological trauma and people everywhere need to know that God loves them. Right now there is a need for rebuilding, planting food and counselling people. 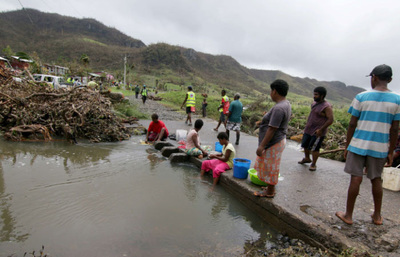 The Fijian government, Red Cross and other countries are sending huge amounts of food into the effected areas but this will only be for a few more weeks. We need to help people fix their farms and plant new crops so that they will have food in the coming months and years. 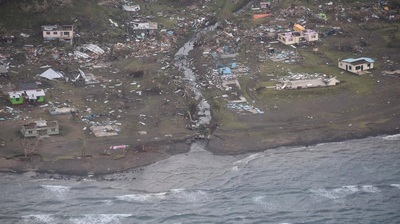 ​Below are a few pictures of the cyclone and the damage caused. Last Saturday we gathered at the Royal Suva Yacht club to share the vision of the Mandolin yacht for YWAM in Fiji. Hinrich Kraenzlin travelled all the way from NZ to share with us about BELT (Biblical Education and Leaders Training) and how it can be use to train leaders and pastors here in Fiji. Mandolin is a tool that we can use to get there. ​If you are interested in donating to this very important part of the ministry here in Fiji please contact us for more information. Below are a few pictures of the event. Where did you do your DTS? I did my DTS in Lautoka, at Marine Reach Base, 2005. Where are you serving now? I am serving now in Asia- based in Thailand and also serving in China, 2-3 months a yr. When was the last time you were home in Fiji? 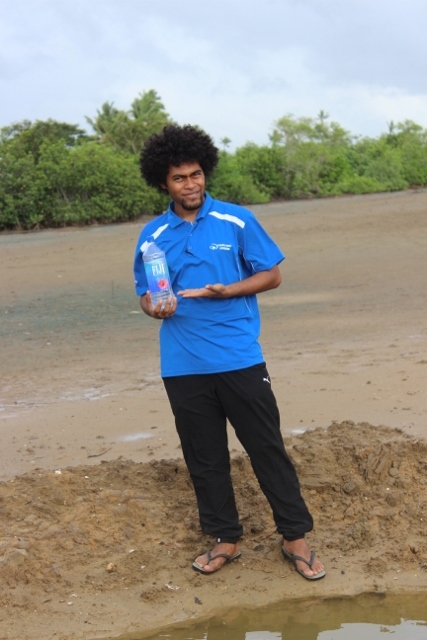 The last time I was in Fiji was in 2013. Where are you from in Fiji? I am from the province of Bua, Vanualevu. What is the hardest part about living in the country where you are serving? Well, I think its hard living in a foreign country especially as a missionary. One of the biggest challenges is communication, especially when it’s a non-English speaking country. But I’m learning the language. Visa issues, I have to get out after 90 days and apply for another 90 days. And that would include finances. Just missing home and friends, food, feel lonely sometimes especially when I’m the only Fijian among the whole Ywam group. How cold does it get in the winter? It doesn’t really get cold here but in China, it gets really cold when it’s winter. 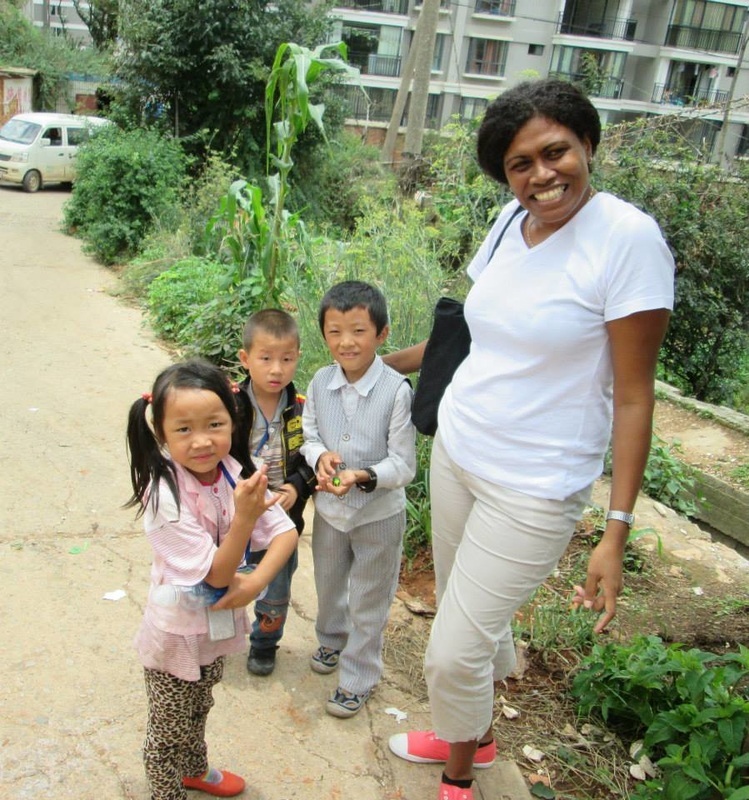 Do you have any advice for Fijians who are interested in overseas mission? The most important thing is to walk in obedience before the Lord, whether life gets hard or easy, He wants to see our obedience, whether we like it or not. How much missionary support do you need to raise each month to be a missionary in Thailand? At least I need to raise 300fjd a month if I just serve at the base but if I travel e.g. to China, it would be more like $1500fj, that would cover my travelling expenses and cost of accommodation. Where does most of this money come from? Mostly from friends and family. How much support do you get from Fiji? I got support from family and also my church are trying to support me monthly which has been my desire for a long time. 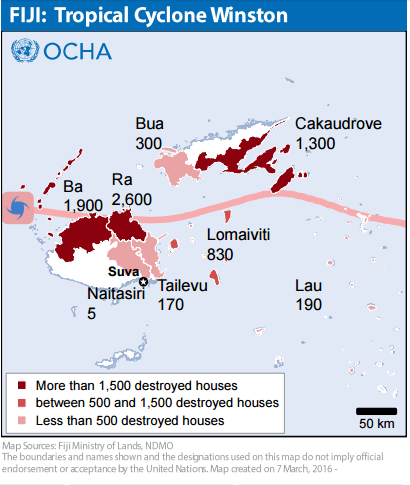 If someone in Fiji want to support you in mission, what is the best way to send you money? BANK- ANZ NAME: LUSIANA NUTE ACC # -11114700. 364 NANGLAE,MOO 5T A. MUANG, CHIANG RAI, THAILAND 57100. If someone outside of Fiji wanted to send you money, how could they do that? They can send through WESTERN UNION by the address above or to my account above and add this information to it: SWIFT CODE- ANZBFJFX; BSB # 010958. 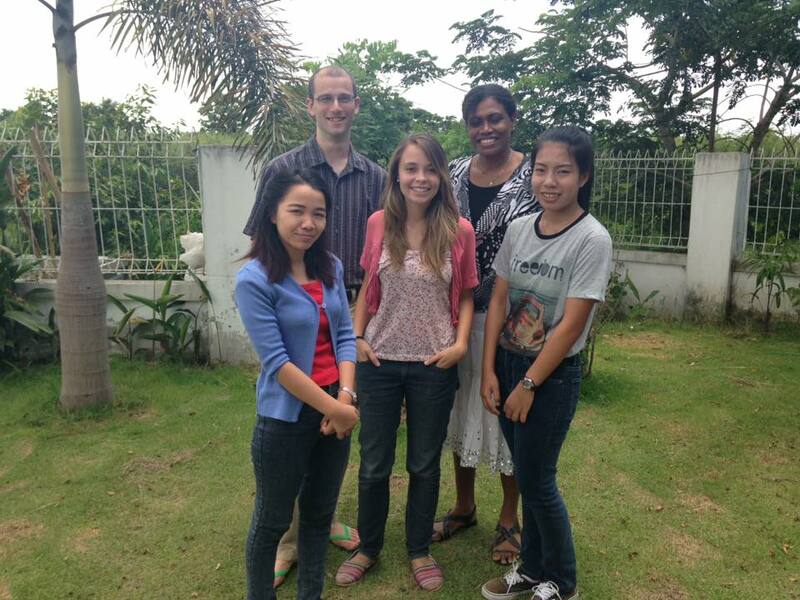 What is your main ministry in Ywam Thailand? I am running Chinese/ English DTS- April and also when I serve in China, I serve in a BAM ministry (BUSSINESS AS MISSION) I also do University ministry in Chiang Rai Thailand. What is your favorite thing to do in Thailand? Just hang out with friends and building relationship with people. Riding elephants! What is your favorite food in Thailand? Sticky rice and mangoes, it’s a Thai dessert. Thai food is very spicy so it’s not really my favorite food. What do you miss most about Fiji? I miss food, family, friends etc. Do you like Thai food more than Fijian? It’s a so so, but I still love Fijian food; I have some Fijian food where I live like root crops and vegetables that similar to Fijian veggies. When do you think you will be back in Fiji? For that I don’t know! How can we pray for you? What should we pray about? Prayer request: For my ministry here in Asia running dts, university ministry and ministry outside the base, my health and finances as well. Pray that I build good relationship with people and just to obey what God asked me to do here, not in my own strength or knowledge. How can we pray for country of Thailand? Prayer request for Thailand: Thailand is one of the highest rate in human trafficking, especially for children and women, Prostitutions in the world. It’s also the strongest Buddhist belief country in Asia, though it’s the country that opens to all religion. Christianly is less than 1% even though it’s an open country. Is there any other ministry you involved in? I am also praying to run a business school in the base. And also we’re involving in giving out bibles, Source view Bibles to non- Christians in Thailand, that has been our project lately this year as a base. The bible was translated by YWAMERS and it’s my base leader’s heart to commit to this project so this is another ministry that I COMMITTED TO. Apart from ministry did you have any other commitment to do outside the Ywam base? University ministry. I meet a group of girls every Thursday. What are some of the hindrance to the people to become a Christians? The biggest hindrances are that they are Buddhist. What do you like to see in the peoples life after serving there ? I want to see them coming to the Lord and to know that Jesus Christ is the only God and His desire is to have relationship with them. Do you think that the church is doing great in there spiritual growth? Do you have any struggles as a foreign missionary in Thailand? Of course, language barrier and food. What are some of the highlights of being are missionary while in Thailand? One of my highlights was that when a Buddhist woman admires my smile. Trying to communicate with my broken Thai and yet God uses my smile to touch her heart. For her she has to practice how to smile to be like her god. But when she sees my smile, she admires it and she said that I have a big heart and my smile is real! That was a big high light when God showed me that even though I couldn’t speaks the language yet he could use other things to touch peoples heart here. Another highlight was when a monk a Buddhist priest talked to me, they don’t talk to women and they don’t touch women. It was strange that day while I was standing with other people, foreigners and they were white foreigners; he came right up to me and talked. I was shocked because that would never happen. ​Do you think the government is more open now to give them freedom to worship God? Yes Thailand is an open country but the sad thing is the Christian percentage is less than those restricted countries. 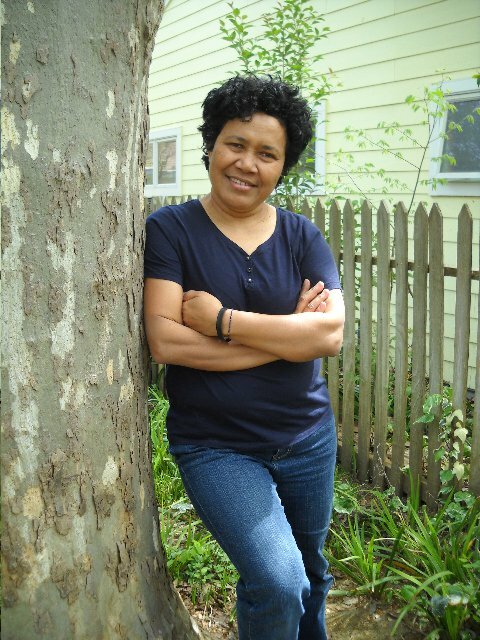 ​Vive Cerewale(Caphie) has been a ywam missionary since 1986 and she has been serving outside Fiji before coming back and helped establish the kindergarden in Lautoka Ptc ywam base in @2007.And she has been with the Ptc base till 2011 before she left to pursue her study in Foundational counselling in Oregan base,USA. 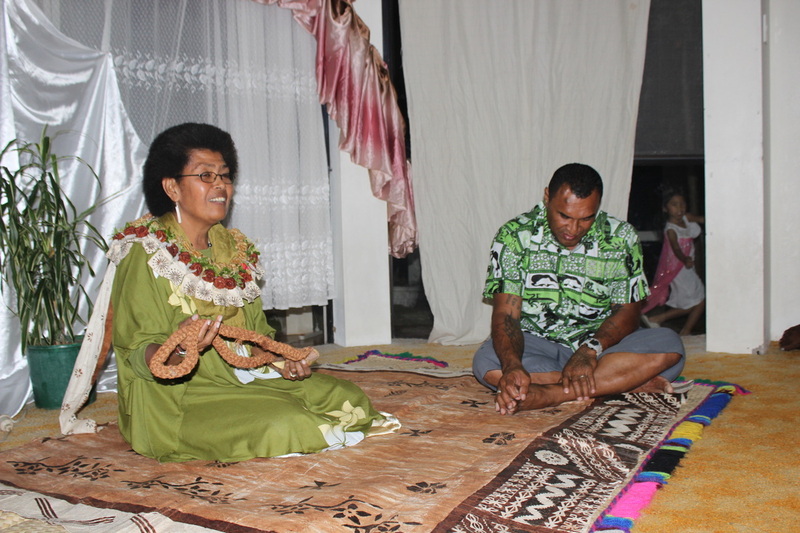 At the moment she just came back from Samoa base and preparing and getting ready to leave for Samoa for long term mission. Below is the interview with Vive(Caphie) followed by her contact information. How long have you been serve in the Ywam? Since 1986 ,this is my 29th years of serving in the ywam. What is the hardest part about living in Samoa? Communication is really hard internet is $12 per hour and it takes time to connect and when you finally connect you already half way to finish one hour. There internet is really slow. Food- they used a lot of coconut milk they cook almost every food with coconut milk and that’s too rich for me. Get equipped, necessary schools, and get good financial support. Have a servanthood heart. 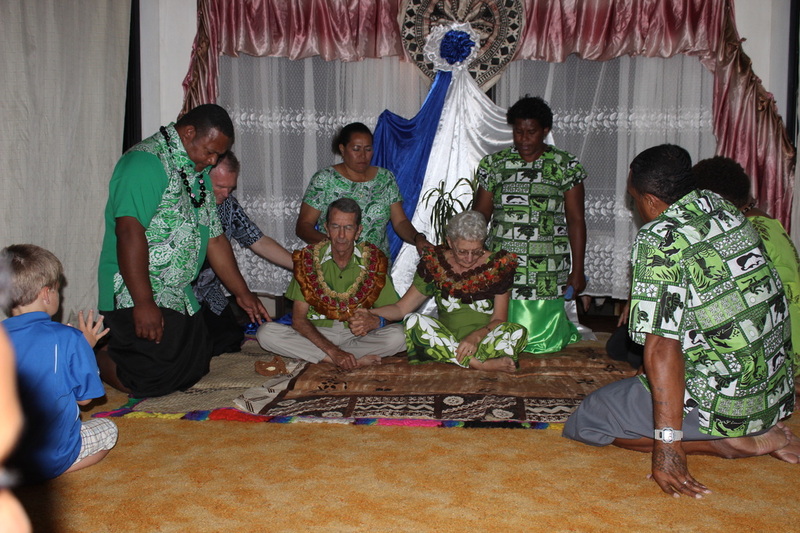 How much missionary support do you need to raise each month to be a missionary in Samoa? They can deposit in my account. They can deposit on Westpec,Lautoka branch, Vive Cerewale Acc Num: 9802227927. What is your main ministry in Ywam Samoa? Children’s ministry and young people. We running ministry in the base. Is there anything else that you would like to say? I would love to see pre-school started and help them to know God from that level it will be easy to work with them in the future. And the young people we walk back with them so they can have a relationship with God. Equip them to what God has for them and train them how to relates to their families and there communities, and deal with there issues in life. Varieties of food, fellowship with my friends, Fiji’s biscuits and tea. Just pray for my involvement with the ministry and the training that I will be running for the youth and the children. That they will be able to be open to what God has for them in this generation. 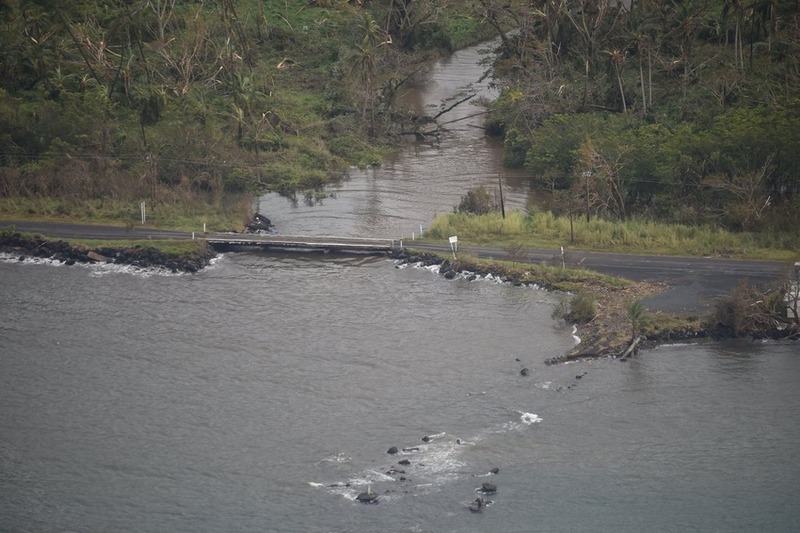 How can we pray for the nation of Samoa? 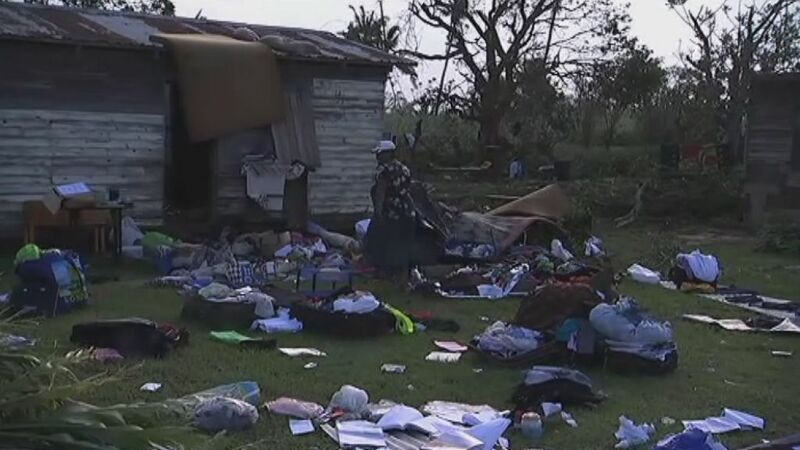 Pray the Ywam staff in the area that they needed. And to raise financial support in order to support them to get to where God wants them. I do visiting other people outside the base. Interview conducted by Casa Onela. We are so excited for this year’s national YWAM gathering and hope we will see you there! The gathering is a chance to be encouraged, worship our amazing God, pray together, hear testimonies of what God is doing in Fiji and hear from our local and international YWAM community. There has been a change of date for this year’s gathering; the new date is May 7-10 (Thursday evening until Sunday noon). When he had finished speaking, he said to Simon, "Put out into the deep water and let down your nets for a catch." Simon answered, "Master, we have worked all night long but have caught nothing. Yet if you say so, I will let down the nets." When they had done this, they caught so many fish that their nets were beginning to break. So they signaled their partners in the other boat to come and help them. And they came and filled both boats, so that they began to sink. This year’s guest speaker will be Hinrich Kraenzlin an international YWAM leader originally from Germany who has been serving with YWAM in the South Pacific for more than 30 years and currently lives in New Zealand. Hinrich has a heart for the nation and people of Fiji and will be challenging YWAM Fiji to Go Deeper. We will be meeting and staying at the beautiful Coral Coast Christian Camp in Pacific Harbour, Viti Levu. We wanted to make this time as relaxing and easy as possible so the price of the conference is all inclusive. The food will be catered and we have invited a worship team from Suva to lead us in worship. There will be lots of time for fellowship and relaxing on the beach in addition to the session times. If you are planning to attend this year’s gathering please fill out the form on page two and mail it to the national office as soon as possible. Once your registration has been received you will receive a confirmation email with more information such as arrival time, directions and suggested packing list. · Full payment is required with your registration. · Registrations will not be accepted after April 24. · Refunds will not be given after April 24. · Room availability is on a first come first served basis. If you want to guarantee space for your family or yourself please be prompt in sending in your registration with complete payment. 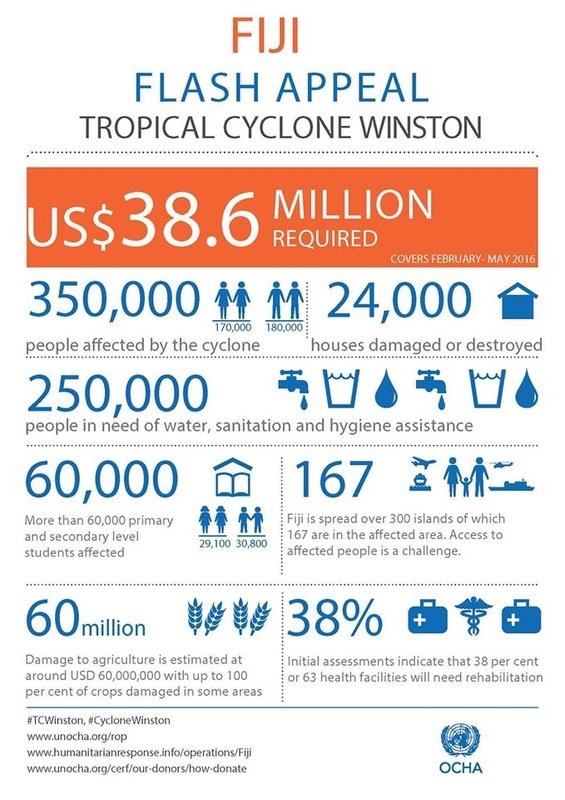 If you have any questions please contact us at info@ywamfiji.com and we will do our best to help. A masterpiece is a craftsman’s best piece of work. Being a masterpiece of God is something that I will treasure for life. I’ll be talking about the experience I’ve gone through and what I’ve learnt to keep the masterpiece at it best and how to relate to other piece of masterpiece for the past 6 months. For the first three (3) months I have come to learn the important of a masterpiece (Human Being) by taking a course of Foundational Counseling Ministry (FCM). It’s a counseling school which I’ve learnt from it to deal with myself first in terms of Emotion, Mind, Spirit and how to control it to work together in order to become a better masterpiece or a better person. It does really help in a place where I learn on how to relate to other people, and in a situation for me not to react but reply in peace and a respected manner. After the three months of lecture, my leaders from the base where I’m currently involved in at Personal Transformation Center (PTC) appointed me and call me to be part of the Internship Program at the Youth With A Mission (YWAM) National Office in Nabua conducted by YWAM Staff and Leaders Adam & Kim Atkinson. Here I can say that it’s also a place where I can learn on how to keep a masterpiece at it best where they train Leaders. When I say train Leaders, for me it means everything about a life of a human being (masterpiece) at the place of work e.g. teaching, meeting, creating good relationship, cooking, budgeting and etc. A good thing about my leader at the YWAM National Office they even allowed us to go on outreach. For me I believe this a good place to practice what I’ve learnt on how to relate to other masterpiece. As we are also going for the Medical Outreach it’s a good place to help each other and work together as piece of Masterpiece in a team to help other piece of Masterpiece of God (other people where we do medical clinic and evangelism) in a place where u can be challenge physically, emotionally and spiritually. Here I can say by keeping the Masterpiece at it Best is A Task of a Life time. Bula Vinaka to My Readers. Praise to the Almighty God! My name is Waji Vokitiviti Tuifagalele, I’m originally from Vanuabalavu Lau, I’m Staffing at Personal Transformation Center (PTC), Lautoka. At the moment I’m doing my Internship at the YWAM national Office Suva. Galatians 5:25, Since we live by the Spirit, let keep in step with the Spirit . Tuiwasa Anaseini Disaurara, Ana for short, is a long term missionary serving with YWAM in Japan. 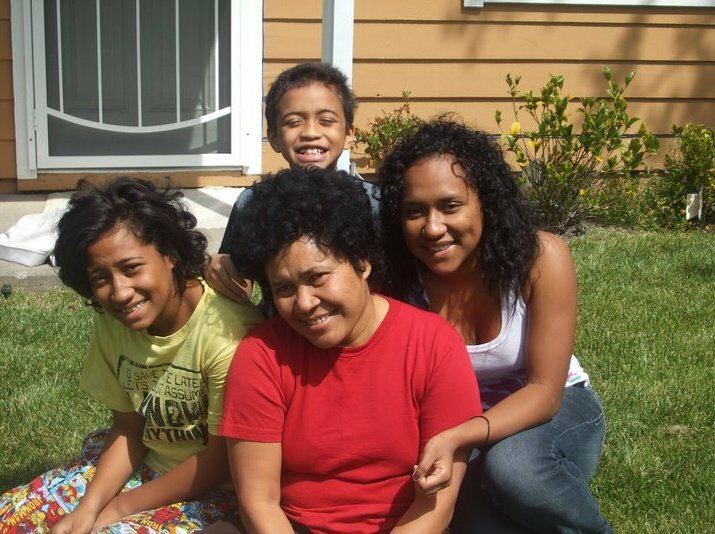 Ana is from Fiji and has been home in Fiji for the past few months on furlough. We decided to interview Ana and ask her a few questions about life as a Fijian missionary serving in Japan. Below is the interview with Ana followed by her contact information. ﻿How long have you served in YWAM? This year will be the 30th year of being in YWAM. I started in 1985. In Samabula in Suva. There was a YWAM base behind courts furniture in an old building. The base leader was Neville Wilson. Tokyo city in Japan. I have been there ever since I went to Japan in 1990. Vanua levu in a village called Bua. What is the hardest part about living in Japan? I have been there for 24 years so I am used to the lifestyle there. When I was just beginning there were a few things that were really hard for me. One of the things was not being able to speak the language so I had to learn the language. Not being able to communicate was very hard. The hardest part today is living with low finances. At the end of every month I have to think about how I am going to pay my bills. Freezing cold! I get so uncomfortable with the heat in Fiji now. Winter in Japan is one of my favourite seasons. I am used the lifestyle in Japan now. Winter is about 0 degrees Celsius. 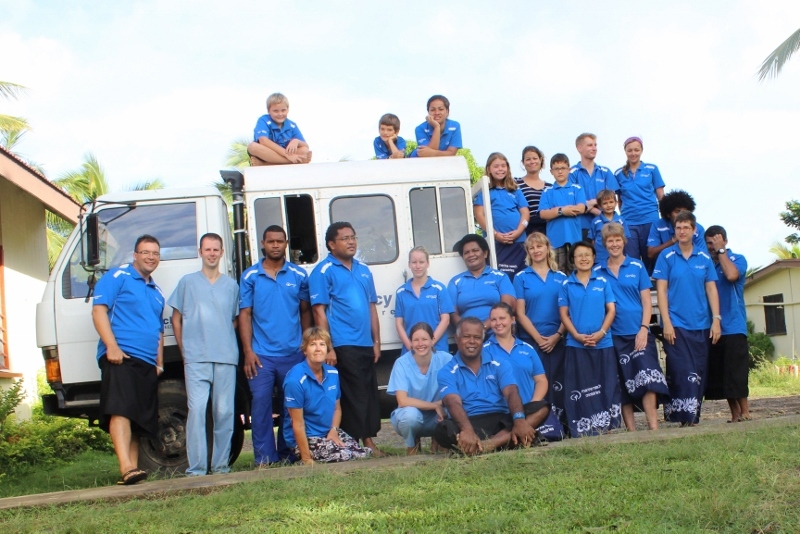 Do you have any advice for Fijians who are interested in overseas missions? Yeah, when I went to Japan for the first time as a missionary I felt like I didn’t prepare myself well in terms of financial support, prayer support and this is what I learned is so important. I would advise them that this is not wrong but it’s much better to be prepared before coming to the missions field. I believe that we need to be obedient to God and follow Him. You need to keep your focus and really listen to what God is speaking to them. God might have a plan for them in the nations. How much missionary support do you need to raise each month to be a missionary in Japan? About $1,500 FJD a month. 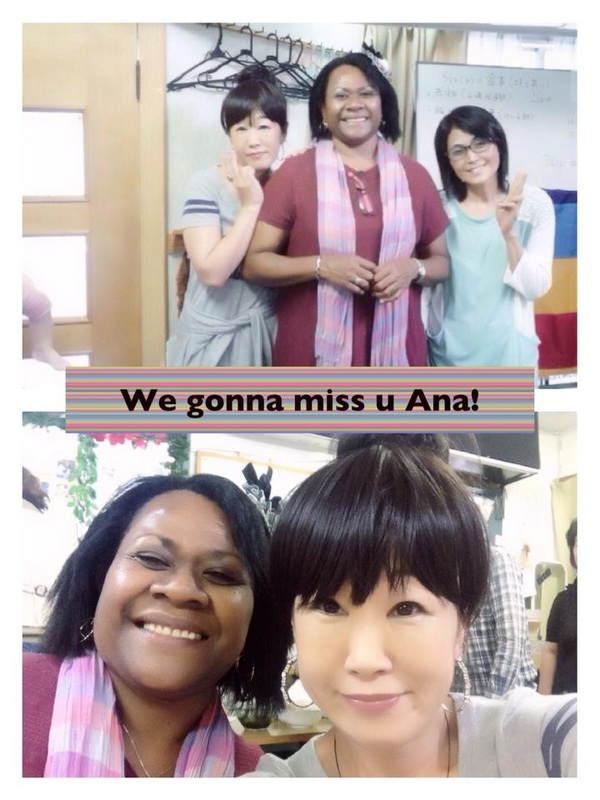 International assemblies of God church in Japan have been faithfully supporting me for more than 20 years now. The rest is from teaching a few English classes and trusting God daily for the rest. If someone in Fiji wanted to support you in missions, what is the best way to send you money? I am trying to open a new bank account with ANZ bank so that I can take money out in Japan. My last bank account was closed because I was out of the country for the past 10 years. They could send me money into my Japanese bank account. What is your main ministry in YWAM Japan? Our team is an evangelistic ministry and we have different ways that we do this in Japan. Japanese people are very busy and it’s hard to get their attention. We teach bible and English to people. We also do homeless ministry and we just started a prison ministry. A few of our team members started doing a wedding ministry. My main ministry is using the bible as a text book when we are teaching English classes. I also work with a local church doing evangelism. They do Christian weddings for non-Christians. They counsel them before the weddings and share Christian values. They do gospel songs and read the bible during the weddings. Is there anything else that you would like to say. I believe that God is calling more young people to more nations in the world. They just need to ask God what nations they should go to. In Japan we need more missionaries. We need more workers, especially young people, in Japan. God will be with us to overcome those challenges. The nations will be blessed by your obedience to God. What is your favourite thing to do in Japan? My very favourite thing to do is getting together with people and spend time in a nice place like having a picnic by the river or having a barbeque. In the winter hiking with friends up the mountain just for exercise and spending time. What is your favourite food in Japan? Tempura shrimp and vegetable as well. The people, my friends, my family. The relaxation of being in Fiji, people in japan are very busy. Do you like Japanese food more than Fijian? Yes because Japanese food is lighter. But I don’t hate Fijian food! I still like it. Maybe in two years? I would really like to come every year. Pray for God’s wisdom day by day for how I can minister to the people. Pray that I an effect them. Pray for their salvations for all those people. How can we pray for country of Japan? Can people contact you with questions? What is the best way to contact you? Phone number: 03-3826-9815 The country code for Japan is 81. On Nov. 19, YWAM Fiji's National Office hosted a technology gathering for the different YWAM ministries on Vanua Levu. During the meetings we discussed how we can use the internet and social media to share what God is doing in Fiji and mobilize more people into missions. If you have an interest in this area or would like to help please contact us for future meetings. and "liking" these pages on Facebook. 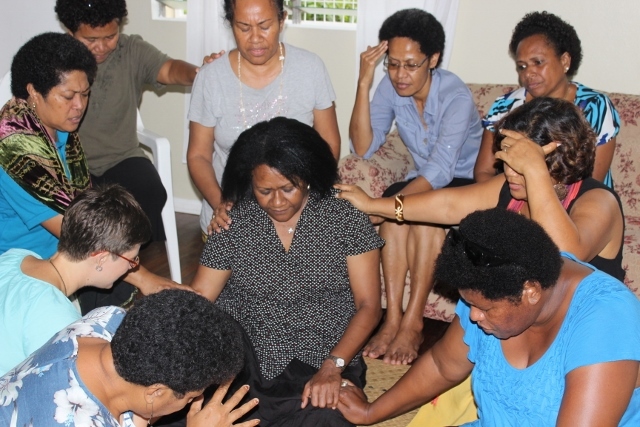 Last month we gathered in Labasa on the island of Vanua Levu for our annual YWAM gathering. It was a great time of prayer, teaching and worship with almost all of our YWAM family in Fiji. During the conference we took time to honor 3 of our longest serving staff who are retiring from full time ministry. Wakanesi Pederson (above) has been serving with YWAM for 30 plus years. 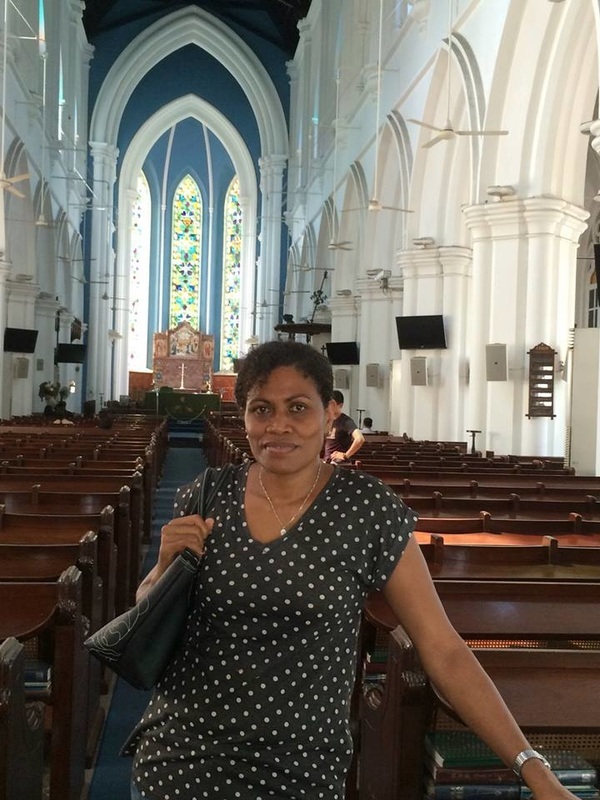 Wakanesi was very involved with pioneering several ministries in Papua New Guinea and now lives in Suva, Fiji. Richard and Thelma Dingle (below) have been serving with YWAM in Fiji for the past 6 years and are retiring to New Zealand to spend more time with family. YWAM Fiji is a family of ministries with one common goal. Love God, love others. "To know God and make God known"